Potlucks and picnics are upon us! 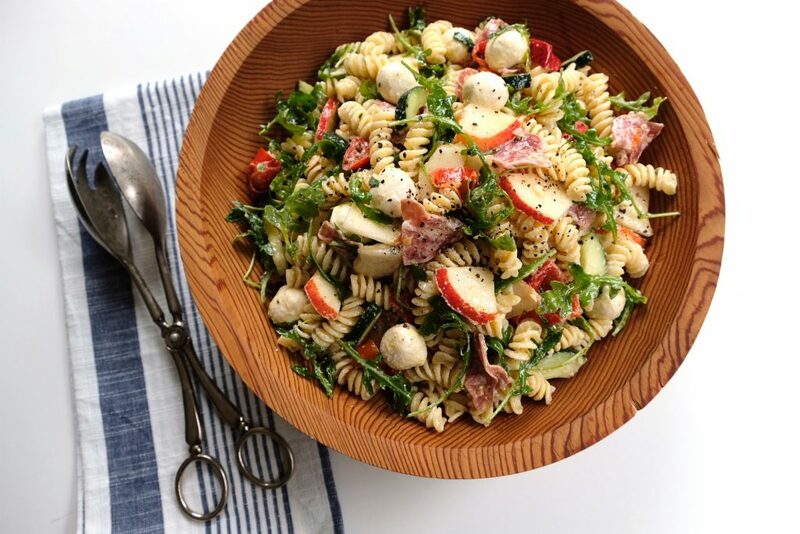 This portable pear recipe adds a sweet twist to the perennial favorite: pasta salad. With a flavor-packed combination of just-ripe USA Pears complemented by salty salami, tart pickled peppers, fresh mozzarella, and crunchy cucumbers, it’s sure to surpass any pre-made offering you’d find at the deli counter. Plus, a lightened-up version of the classic creamy dressing, substituting Greek yogurt for mayonnaise, makes for a healthier summer feast. To make the dressing: In a blender, combine the olive oil, yogurt, vinegar, garlic, salt, and pepper. Blend until smooth. Stir in the oregano. The dressing will keep for up to 3 days in the refrigerator. To assemble the salad: Bring a large pot of salted water to a boil. Add the pasta and cook according to package directions until tender. Drain and rinse under cold water to cool to room temperature; drain well. 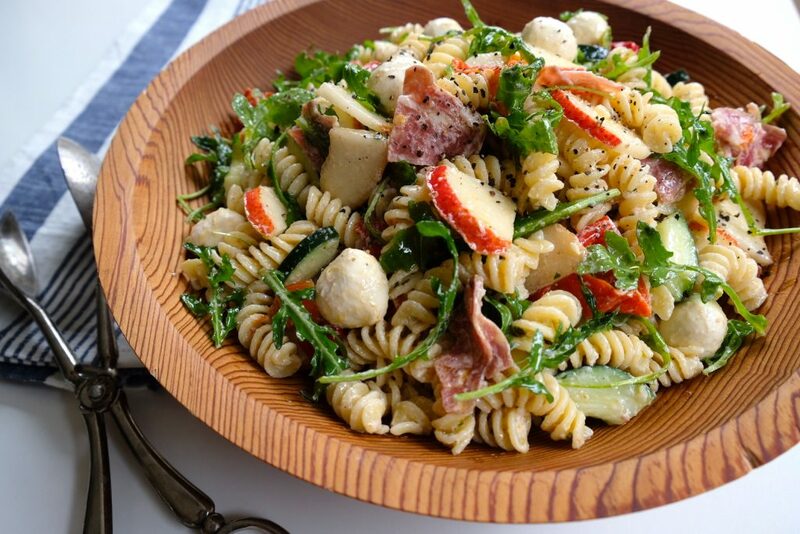 Place the pasta, pears, cucumber, bocconcini, salami, and pickled peppers in a very large bowl. Pour in the dressing and toss to coat well. Taste and adjust the seasoning. Cover and refrigerate for at least 30 minutes and up to 1 day. Toss in the arugula just before serving. 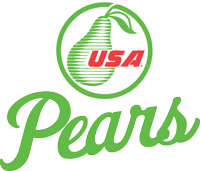 This entry was posted in Food and Drink Recipes and tagged Anjou, cheese, culinary, dinner, kitchen creativity, pear recipe, pear recipes, pears, recipes, salad, salads, summer by Andrea Slonecker. Bookmark the permalink.